We have been approved to benefit from purchases on Amazon when you indicate we are your preferred charity for Amazon Smile. 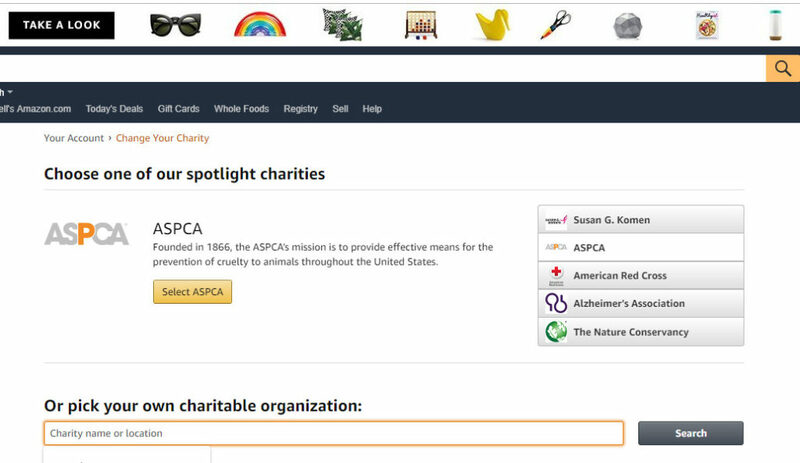 If you already have chosen a charity, “Supporting:” will be displayed in the upper left. If not, Amazon will prompt you for a charity. Use the “Search” feature to type in our name. 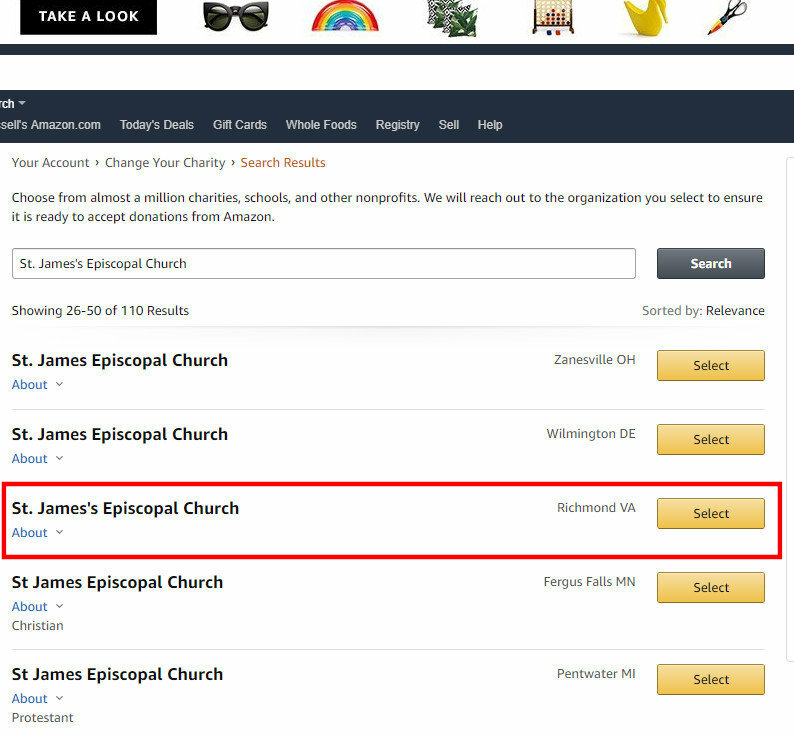 The search results will display a number of similarly named churches. On the second page of results , we are located a ways down the list. Click on our name and make that website your favorite when you want to get something at Amazon.